Angie has been working in the affordable housing and community development field since 2004. Previously serving as ACDC's Director of Real Estate, Angie oversaw the asset management of ACDC’s portfolio of 300+ units, and was responsible for developing a pipeline of new projects for ACDC. She has worked as a consultant and project manager in Seattle and Philadelphia assisting nonprofits in providing safe and affordable housing. She has served as the project lead on over $95 million worth of projects. Angie received a Master of City Planning from the University of Pennsylvania with a concentration in Community Development. She received a Bachelor of Arts in Sociology at the University of Pennsylvania. Originally from the Boston area, Hamilton oversees ACDC’s program efforts and ensures the smooth running of ACDC’s internal operations. He has more than nine year’s experience in non-profit management which followed his experience in IT consulting. Prior to ACDC, he worked with China’s urban migrant families, launching community centers serving thousands of parents and children within impoverished urban migrant neighborhoods in China. He holds a Master in Public Administration from Harvard University and a Bachelor of Science from Cornell University. Christine has been working in nonprofits, serving Asian American and immigrant families since 2009. She leads communications and fundraising at ACDC. Her experience includes youth leadership development, program management, event and volunteer management, and fundraising. She is originally from Texas and earned a Bachelor’s degree in Political Science from the University of Texas at Austin. Kyle has over 10 years of affordable housing development experience. As Director of Real Estate he leads ACDC’s efforts to identify and develop a pipeline upcoming real estate projects, as well minding ongoing asset management of existing sites. Prior to joining ACDC he was a Senior Planner with the Cambridge Housing Authority, spending many years working on a mix of large scale LIHTC and modernization efforts across their portfolio. He received a Master of Urban and Regional Planning from the University of New Orleans and a Bachelor of Arts from Louisiana State University. Michelle started her career in nonprofits in 2016 after obtaining her Master of Public Health Degree from Boston University. As the Office Manager at ACDC, she maintains office operations and procedures. Her experience includes positive youth development, program management, continuous monitoring of programs and evaluation, office management, as well as maintaining office operation and policy. Michelle bilingual in Mandarin and English. Kathy provides one-on-one financial and housing counseling in English and Mandarin at ACDC's Malden office. Kathy brings over 20 years of experience in business management and real estate sales to help new immigrants meet their financial and homebuying goals. Journey joined the ACDC team in August 2018 as an AmeriCorps MassPromise Fellow. Journey will be piloting the A-VOYCE Malden school year program at ACDC’s new Malden office. Originally from Southern California, Journey ventured to the Greater Boston area to pursue her undergraduate degree at Bentley University, majoring in Marketing with a Liberal Studies Major in Diversity and Society. During her time in college, Journey mentored first year students and advocated for gender equality and healthy relationships through her on-campus involvements, such as being a Resident Assistant and an Equity Center Educator. Jeena joined ACDC in 2014 an an AmeriCorps MassPromise Fellow and became a staff member the following year. She has lived in socioeconomically diverse communities in the mid-Atlantic and Massachusetts. While at Boston College, she maintained active student leadership roles that earned her prominent recognition in the Asian Pacific American community. She led a campus campaign for mental health, which was recognized by the White House Initiative on Asian Pacific Islanders, and worked at the school’s multicultural center to promote college success for low-income, first-generation college students. Suzie previously worked with ACDC as an intern for the Summer Leadership Academy in 2016, where she helped to coordinate a youth-led Chinatown Pedestrian Safety Campaign. The project resulted in multiple structural improvements that Chinatown community members benefit from today. Suzie is a graduate of Northeastern University, where she worked at Northeastern Crossing, and helped to provide access to university resources to the general public through programming that fosters collaboration and information sharing. Her other professional experiences include event management, project team management and improv comedy workshop facilitation. Michelle facilitates housing workshops and provides individual housing counseling services, including housing search support, basic financial analysis, referrals to real estate professionals, and assistance with forms. She grew up in Canton, China, and is fluent in Cantonese, Mandarin, Toisanese, and English. Her aspiration is to help more low income families purchase their dream houses. She is currently pursuing a Master’s degree in Computer information System at Boston University. Lee has over 20 years of experience in the education, human services and social work industries. Since starting at ACDC in 2011, Lee has received training in financial coaching and homebuyer education from the national training program, NeighborWorks. She is trained in the HUD housing counseling program requirements for client record-keeping and financial education facilitation. Lee is bilingual in English and Mandarin. May has over 15 years of experience in the education, community organizing, low-income and immigrant community advocacy, and human services industry. 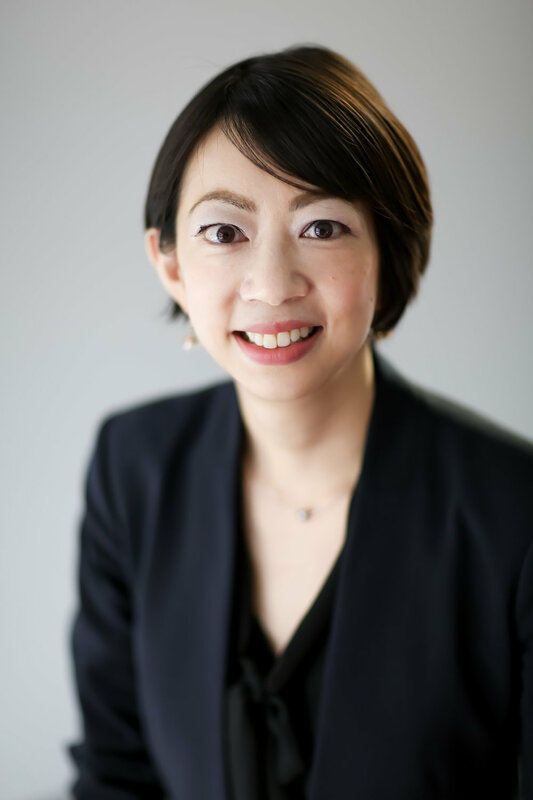 She has worked on major projects for Chinese-speaking residents that include tenant organizing, Chinese-language voter registration, and outreach to Chinese homeowners for weatherization and energy-bill-saving campaigns. Since starting at ACDC in Fall 2012, May has also been trained in financial coaching and homebuyer education from the national training program NeighborWorks. May speaks Cantonese, Mandarin, and English. Yuqi previously ran the A-VOYCE program in Malden and now supports our civic engagement efforts in Malden. She has worked at the national and local level on issues such as food insecurity, workers’ rights, and tax reform with a racial and economic justice lens. Yuqi brings extensive experience in policy analysis, program evaluation, and training and facilitation. She hails from Chicago, and earned her Bachelor’s degree in Economics, Chinese, and Public Health from Washington University in St. Louis. Our work would not be possible without the generous support of our individual and institutional donors who are investing in our communities.